Take a moment and gaze at the picture of the glorious sunset below. 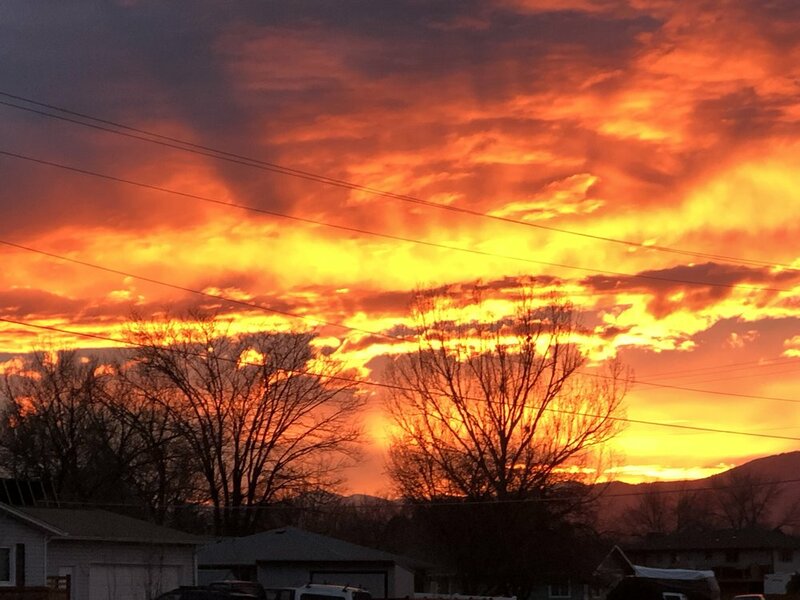 I remember watching a similar sunset in Montana while bird hunting with my father. My father looked at me and said “son, how could anyone see this and not know there is a God!” God is real! You have a conscience , the ability to love, and peace is seeing a sunrise or a sunset and knowing whom to thank. We need to be sound in our spirit, mind, and emotions to be able to influence others to accept God's love, forgiveness, and plan. Serving man is serving God. We must love others as we love ourselves and clean up our own backyard. Have our lives in balance, be patient, and be content with a very positive attitude...and God will reveal His will to you! Forgiveness means that we are willing to let go of the pain we feel and give it to God. We are willing to place every hurt and injustice into the hands of God and trust him to heal our hearts and deal with those who have wounded us. We must always forgive. There is never any situation in which unforgiveness can be justified before God. Forgiveness does not mean that we deny our injuries...It does mean that we must release that person from our own judgment and let go of any bitterness. Unforgiveness will harden our hearts and cloud our judgement against the innocent.